Editor’s Note: Leonard Berlin, MD, FACR, is a professor of radiology at Rush University Medical College and the chairman of the department of radiology at Rush North Shore Medical Center in Skokie, Ill. He began writing on risk management and malpractice issues in a series of articles in the American Journal of Roentgenology. Those articles became the basis for his well-known book Malpractice Issues in Radiology. The third edition is available from the American Roentgen Ray Society (www.arrs.org). A 73-year-old woman was hospitalized because of recurrent transient ischemic attacks. As part of the medical workup, the patient’s physician requested that the radiologist obtain a four-vessel arteriogram. The radiologist began the procedure but encountered considerable difficulty in catheterizing the aortic arch and its major branches. The patient was short and obese, and in addition, she became combative and began to thrash. Although medication lessened the combativeness, the patient moved so much that the radiographs were deemed nondiagnostic. Just as the radiologist was about to repeat the injections of contrast medium and filming, the patient lost consciousness. The radiologist then terminated the study. Shortly thereafter, a cerebral vascular accident developed and the patient became hemiplegic. Her condition deteriorated steadily, and she died 3 days later. The family of the deceased patient filed a malpractice suit against the radiologist alleging negligence in the performance of arteriography. As part of its investigation, the radiologist’s insurance company retained a radiology expert to review the medical records. The expert was not critical of the poor-quality radiographs, pointing out that occasionally radiologists simply cannot control an agitated patient’s movement on the radiography table. It was also the expert’s opinion that the stroke experienced by the patient was a known and unavoidable complication of arteriography and was not the result of negligence on the part of the defendant radiologist in this particular case. During pretrial discovery, the deceased patient’s son testified that he would never have consented to his mother’s undergoing the arteriography had he been told beforehand that she might suffer a stroke. The patient’s daughter stated that she would never have given permission for the procedure had she been told beforehand that the radiologist would be introducing a catheter into her mother’s groin. Concluding that it would be extremely difficult to successfully defend the malpractice lawsuit because of the radiologist’s failure to obtain informed consent from the patient, the insurance carrier settled the litigation by paying the plaintiffs $320,000 on behalf of the radiologist. In 1976, Pennsylvania radiologist Robert Allen1 wrote about a malpractice lawsuit filed against him by the family of a woman who, while undergoing excretory urography, died of an anaphylactic reaction after IV injection of contrast medium. Although Allen and his attorneys thought that they had a strong defense based strictly on the medical facts, a jury ruled against the radiologist and awarded damages to the plaintiff. At trial, the radiologist had been asked whether he thought the patient had the right to know that death could result from the injection. Allen replied that he did not warn the patient because he knew the indications for the radiologic study so outweighed the remote likelihood of a fatal reaction that it would not have done any good to alarm her, because he was sure she would have proceeded with the urography anyway. Lamenting the intrusion of the legal system into what Allen considered to be his own excellent standards of radiologic practice, he asked, rhetorically, shouldn’t informed consent be a medical rather than a legal decision? The answer to Allen’s question is that informed consent is both a medical and a legal issue. In Allen’s case, as in the case 20 years later described here, the radiologist was judged liable for malpractice not necessarily because he had done anything substandard medically, but rather because he had not obtained appropriate informed consent. Obtaining informed consent from the patient is indeed an integral part of the practice of medicine, and failing to do so may constitute negligence just as much as failing to correctly interpret a radiograph or appropriately obtain an angiogram. A brief historical review of informed consent may help radiologists better understand its importance. That patients should determine for themselves what kind of medical procedures, if any, they will undergo was ingrained into American common law [in 1914] by Justice Benjamin Cardozo (Schloendorff v The Society of New York Hospital, New York), who wrote, “Any human being of adult years and sound mind has a right to determine what shall be done with his own body; and a surgeon who performs an operation without his patient’s consent commits an assault.” This now universally accepted right of self-determination is evidenced legally in the form of consent, or permission, that must be sought from, and granted by, a patient before any medical diagnostic or therapeutic measure is instituted. A physician’s failure to obtain consent from the patient before instituting medical care could expose the physician to a charge of battery, defined legally as unconsented or harmful touching.2 The type of consent required depends on the medical procedure that is being contemplated. As elucidated by Reuter3 in his classic monograph, implied consent, that which is given by a patient’s actions rather than by spoken words, satisfies legal requirements for simple procedures in the practice of radiology, such as ordinary radiographic examinations and most noninvasive studies. Examples of legally acceptable acts of implied consent include a patient’s voluntary climbing onto a radiography table, voluntary drinking of a liquid barium mixture, or voluntary extending of an arm to receive an IV injection. The other kind of consent is express consent, that which is explicitly stated. It is required for all patients who are about to undergo radiologic procedures other than procedures that are considered simple. For the express consent of a patient to be meaningful and legally valid, the consent must be given after the patient has been fully informed about the procedure (McPherson v Ellis, North Carolina, 1982). A disclosure must be made to the patient that includes the benefits and risks of the procedure, alternative measures that might give similar results, and the risks of not performing the procedure.4 During the nearly six decades that followed the Cardozo decision, most state courts adopted the “prudent physician” doctrine, also known as the “majority rule” of informed consent, meaning that physicians were required to make such disclosure that comported with the prevailing medical standard of the community—that is, the disclosure of risks that a reasonable physician in the community would customarily make in similar circumstances (Largey v Rothman, New Jersey, 1988). In 1972, a new standard of disclosure for informed consent was introduced into common law. Ruling in the case of Canterbury v Spence, a District of Columbia federal appeals court fashioned the “prudent patient” doctrine, also known as the “minority rule,” when it held that the scope of the physician’s duty to disclose information must be measured by the patient’s need to be given information material to making a decision relative to medical care, rather than by what the medical profession thinks the patient should be told. The trend toward the prudent patient standard of informed consent begun by the Canterbury decision grew substantially over the next quarter century as more and more state courts adopted similar positions. It behooves radiologists to be aware of the attitudes of many appeals court justices who deliberated the role of the physician in obtaining informed consent. In 1988, the Supreme Court of New Jersey changed its position from the prudent physician standard to the prudent patient standard, stating, “The [prudent physician] standard is totally subject to the whim of the physicians in the particular community. Under this view a physician is vested with virtually unlimited discretion in establishing the proper scope of disclosure; this is inconsistent with the patient’s right of self-determination” (Largey v Rothman). A similar legal stance was taken by a Pennsylvania appellate court in 1995, when it emphasized, “In determining whether a physician breached his duty to his patient, the standard of care is not what a reasonable medical practitioner would have done in the situation but whether the physician disclosed those risks which a reasonable man would have considered material to his decision whether or not to undergo treatment” (Hoffman v Mogil). Under the patient standard, expert testimony is not critical to demonstrate the amount of information the patient needs in order to intelligently decide between two treatment options. The decision as to what procedure to undergo is ultimately the patient’s; to impose a standard of disclosure dictated by experts would be to undermine the decision-making power of patients… Courts which apply [the patient-oriented] standard emphasize what the patient needs to know to make an informed decision, rather than what the medical community thinks the patient should be told… [The patient-oriented] standard provides the patient with effective protection against a possible conspiracy of silence wherever it may exist among physicians. Moreover, since the patient must suffer the consequences, and since he or she bears all the expenses of medical treatment, fundamental fairness requires that the patient be allowed to know what risks a proposed treatment entails, what the alternatives thereto are and the relative probabilities of success… The physician’s duty to disclose in an informed consent case, therefore, is not what the physician believes his or her patient needs to hear… The focus should be on what a reasonable person objectively needs to hear from his or her physician to allow the patient to make an informed and intelligent decision regarding proposed medical treatment. The number of state judiciaries that have adopted the prudent patient standard is about equal to those that have adhered to the prudent physician standard (Carr v Strode). Radiologists should learn which of the two standards of informed consent their state follows so that they can modify their practice policies accordingly. In a medical malpractice lawsuit involving informed consent that is tried in a prudent physician state, the conduct of a defendant radiologist must be compared with the conduct of the ordinary radiologist practicing with a reasonable degree of knowledge and skill, and thus the determination by a judge or jury whether a radiologist was negligent must be based on testimony presented by radiology expert witnesses. In courtrooms of states that subscribe to the prudent patient standard, radiology expert testimony need not be presented, and jurors can decide the defendant radiologist’s negligence by considering their own knowledge and experience as to whether the patient was given sufficient information by the radiologist to intelligently grant informed consent. From a legal point of view, the plaintiff’s burden of proving a radiologist liable for malpractice for failing to obtain informed consent is more difficult in a prudent physician state. From a practical point of view, however, the actual consent standard followed in their states may not make much difference to radiologists. I believe the interests of radiologists and their patients are best served by developing informed consent policies that are based on what radiologists believe the patient wants or needs to be told rather than on what other radiologists in their community choose to tell their patients. Even in the prudent physician state, where expert testimony is required to establish that a radiologist breached the standard of care in failing to obtain adequate informed consent, it would probably not be difficult for the plaintiff’s attorney to find an expert witness to testify that the defendant radiologist failed to obtain appropriate consent. Even if expert testimony is given on behalf of the defense, the jurors, when considering the relative weight of the competing expert’s testimony, might well decide the case according to what they would want to have been told if they were the patient. Occasionally, informed consent cannot be obtained, as when a patient requires emergency care, is incompetent or demented, or specifically requests that no information be given and waives the right to disclosure (Salis v United States, Pennsylvania, 1981).9 In these cases, radiologists may be excused from the obligation of obtaining consent, but they should be certain to document in the patient’s chart and radiology report the exact reasons for the omission of the consent. Also, in some situations a radiologist may believe that it would not be in the patient’s best interest emotionally to receive full disclosure of the risks of procedures that are to be undertaken. Radiologists who wish to invoke this “therapeutic privilege” by denying full disclosure to the patient should do so only with great caution, however, for the courts view such physician conduct with suspicion and skepticism.3,10 Johnson11 bluntly pointed out that radiologists who testify that they withheld information from a patient because they feared the patient would be unduly alarmed and thus unwisely refuse a procedure that the radiologist thinks is in the patient’s best interest will be considered by most courts as displaying “omniscient arrogance and insufferable paternalism.” To this, I would add that if radiologists would then testify further that they felt justified in withholding this information because other radiologists in the community would have done the same, I would propose that only ill will and possibly anger would be engendered in the minds of a judge or jury. Informed consent is a complex issue that can insidiously entangle radiologists medicolegally. Risk management can minimize errors and the likelihood of incurring medical malpractice lawsuits involving informed consent, maximize the chances of a successful defense if such a suit is filed, and enhance patient care. The following risk management pointers will help radiologists meet these objectives. • Radiologists should have a written policy on informed consent that includes the types of procedures for which such consent is required. This policy should be in compliance with state and local legal and legislative requirements. 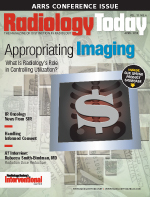 • Radiologists should personally obtain informed consent from patients. A full disclosure of risks, benefits, alternatives to the procedure, and risks if the procedure is not performed should be given. • Radiologists should make every effort to ensure that patients do not misconstrue explanations as promises or guarantees. • The process of obtaining informed consent should be standardized within a specific radiology group. Radiologists should document the process by having patients sign a consent form and also by writing a note in the patient’s medical chart detailing that a discussion regarding informed consent took place. It is preferable to use a customized form that contains information unique to the procedure rather than a generic, hospitalwide form. • In those rare circumstances in which informed consent cannot be obtained from the patient, radiologists should take special care in documenting in detail the reasons for the omission. • Radiologists should not exceed the consent given to them by the patient. For example, if consent is obtained for the performance of peripheral angiography, the radiologist should not proceed with angioplasty without procuring additional consent (Hoffman v Mogil). • It is the patient’s right to both grant and withdraw consent at will. If, during a procedure for which consent was granted, the patient demands that the radiologist stop the procedure, the radiologist must comply with the patient’s wishes and terminate the procedure as soon as it is safe to do so. 1. Allen RW. Informed consent: A medical decision. Radiology. 1976;119(1):233-234. 2. James AE Jr, Hall DJ. Informed consent and diagnostic medical imaging. In: James AE Jr (ed). Legal Medicine With Special Reference to Diagnostic Imaging. Baltimore: Urban & Schwarzenberg; 1980:295-305. 3. Reuter SR. An overview of informed consent for radiologists. Am J Roengenol. 1987;148(1):219-227. 4. Obergfell AM. Law & Ethics in Diagnostic Imaging and Therapeutic Radiology. Philadelphia: Saunders;1995:85-92. 5. Digest of Council Actions. Reston, Va.: American College of Radiology;1995: sec. II, 107. 6. vanSonnenberg E, Barton JB, Wittich GR. Radiology and the law, with an emphasis on interventional radiology. Radiology. 1993;187(2):297-303. 7. Berlin L. Ionic versus nonionic contrast media. Am J Roentgenol. 1996;167(5):1095-1097. 8. Bush WH. Informed consent for contrast media. Am J Roentgenol. 1989;152(4):867-869. 9. Winfield AC, Spring DB. Informed consent in radiology. In: James AE Jr (ed). Medical/Legal Issues for Radiologists. Chicago: Precept Press and American College of Radiology; 1987:101-113. 10. Hopper KD, Houts PS, TenHave TR, et al. The effect of informed consent on the level of anxiety in patients given I.V. contrast material. Am J Roentgenol. 1994;162(3):531-535. 11. Johnson BA. An overview of informed consent: Majority and minority rules. In: James AE Jr (ed). Legal Medicine With Special Reference to Diagnostic Imaging. Baltimore: Urban & Schwarzenberg;1980:281-293. In the July 1997 AJR, Dr. Berlin addresses the issue of obtaining consent for radiologic procedures. He discusses the unanimity of opinion that consent should be obtained for interventional procedures, a principle with which I wholeheartedly agree. He then acknowledges the lack of consensus about the need for consent before IV contrast injections (let alone about who should obtain the consent). Yet in his summary, he states that “radiologists should personally obtain informed consent from patients.” Does he mean to include IV contrast-enhanced procedures (ie, IV pyelography, CT, and MR imaging examinations) in this directive? In the ideal world, radiologists would personally obtain consent for all procedures (including minimally invasive ones). It is fair to assume, however, that few (if any) radiology departments follow this procedure. I work in a group of 18 radiologists who provide service for four hospitals with a total of 1200 beds. We perform approximately 130 IV contrast-enhanced procedures each day. Imagine the total amount of staff hours needed to obtain consent from these patients. At a minimum of 10 min per patient, this would take 22 hr per day, or 4400 hr per year. It is difficult to justify allocating this amount of time for such an endeavor in a large practice, nor can smaller practices be expected to make this commitment of time. At my hospital, we have one and one-half radiologists available every day. If I were to personally obtain consent for each IV pyelography, CT, and MR imaging examination, I would be unavailable for other duties for 2–3 hr a day, bringing the work to a virtual standstill for a large portion of the day. In today’s medical care environment, it is absurd to recommend that radiologists spend their time and expertise in such an inefficient manner. High-volume, low-risk, minimally invasive procedures just do not require or justify that type of commitment. At our hospitals, technologists give patients a detailed consent form that discusses the procedure and the risks and complications associated with IV contrast injection. If the patient has questions, he or she requests further discussion with a radiologist. (In my 9 years at this hospital, this further discussion has been requested only once or twice; clearly, our patients are satisfied with this approach.) Otherwise, the patient signs the consent form and the examination proceeds without further delay. I would venture to say that this is the standard procedure in radiology departments throughout the country. If Berlin includes IV pyelography, CT, and MR imaging in the list of procedures that require radiologist-obtained consent, then I believe his comments are misguided and inappropriate. Few, if any, private radiology practices will ever adhere to this policy. Training programs may use their residents for this purpose, but most department chairpersons should be able to find more suitable tasks for their trainees. Serious contrast media reactions occur much less often than antiinflammatory drug–induced gastrointestinal bleeding, yet no one obtains consent before administering these drugs. If the IV route is the issue of concern, why don’t physicians obtain consent before the IV administration of narcotics or conscious sedation? It’s time that we rationally examine the issue of informed consent as it relates to radiology rather than dutifully fulfilling requirements that do not apply to other physicians in similar circumstances. This is particularly important when the time spent would be better served meeting our real objective—namely, high-quality, efficient patient care. In this article, I stated: “With regard to less invasive studies such as those requiring IV injection of contrast media, much debate exists among radiologists as to the need for informed consent.” For further discussion of this issue, I referred readers to a previous article on the subject of ionic versus nonionic contrast media.1 In that earlier article, I pointed out that no unanimity of opinion exists among radiologists regarding the need for, and the method of, obtaining informed consent for the IV injection of contrast media, and I reported that a survey of members of the Society of Uroradiology revealed that informed consent was obtained from only 32% of patients.1 I further pointed out that true informed consent consists of a personal discussion between radiologist and patient in which the nature of the procedure, all possible significant complications, differences between ionic and nonionic contrast media, risks of not undergoing the procedure, and alternative diagnostic tests are fully disclosed. I also expressed the belief that most radiologists do not obtain this kind of informed consent before the IV injection of contrast agents, and, indeed, no national or local standard exists requiring them to do so. I recommended as a risk management pointer that every radiology facility formulate a written policy that covers all aspects of the use of contrast media, including what type, if any, of informed consent is to be obtained. I emphasized then, as I do again today, that individual radiology groups should establish policies they deem appropriate for their own specific practice and to which they can fully adhere. I also pointed out that acceptable alternatives to true informed consent do exist, including questionnaires and other preprinted forms. This later article on informed consent includes as a risk management pointer the recommendation that radiologists develop a written policy that lists the kinds of procedures for which true informed consent is required. True informed consent is a process that includes full disclosure of risks, benefits, alternatives to the procedure, and risks if the procedure is not done. I believe that procedures for which full informed consent is deemed necessary by radiologists should have that informed consent obtained by radiologists. I agree with Dr. Spira that the process by which consent forms are given before IV administration of contrast media to patients in the radiology department of his hospital, as described in his letter, is an acceptable practice and in conformance with the standard of radiologic care. However, I disagree with Spira’s claim that nonradiology physicians are not responsible for obtaining informed consent before administering nonradiologic medications such as antiinflammatory drugs that can cause gastrointestinal bleeding, narcotics, or substances for conscious sedation. Requirements for obtaining informed consent before performing medical procedures or administering drugs are the same for all physicians, regardless of their specialty. I would also admonish Spira that “high-quality, efficient patient care” includes, rather than excludes, the obtaining of informed consent in appropriate circumstances. Juries, judges, the public, and the medical community itself would have it no other way. 1. Berlin L. Ionic versus nonionic contrast media. Am J Roentgenol. 1996;167(5):1095-1097. Researchers at the Mayo Clinic1 recently reviewed certain principles regarding informed consent. They emphasized that all severe risks—such as death, paralysis, loss of cognition, or loss of a limb—should always be disclosed to patients, even if the probability of occurrence is negligible. Less-severe risks, if their occurrence is frequent, should always be disclosed as well. On the other hand, nominal risks with low probability need not be disclosed. Although the courts generally do not require full disclosure of all possible risks or complications, point out the researchers, there are no clearly defined rules governing what needs and does not need to be divulged to patients. Unfortunately, one may not know what should have been disclosed as part of a medical consent until a lawsuit is filed and resolved. The Mayo Clinic researchers also emphasized that a medical consent may be deemed invalid if it can be shown that patients were unlikely to understand what they had been told because of limited mental capacity, they were medically sedated, or they had been sleep deprived. Even intelligent and alert patients may be unable to comprehend disclosures given them, if they are acutely ill. The researchers pointed out that only 32% of patients undergoing acute myocardial infarction had full comprehension of information they were given, and only 19% of patients with subarachnoid hemorrhage could remember the content of disclosure. A related editorial2 reminded readers that “the common thread in most medical negligence claims is the patient’s perception that the physician did something wrong.” It points out that if a postprocedure complication occurs that had not been discussed as part of the informed consent process, the patient could well perceive negligence on the part of the physician, interpreting the physician’s post hoc “explanation of what occurred” as nothing more than an attempt to avoid responsibility for the complication. The goal of the informed consent process is to ensure that patients, before undergoing the proposed medical treatment, are made aware of all potential significant risks and thus have decided, for themselves, that potential benefits outweigh the risks. 1. Paterick TJ, Carson GV, Allen MC, Paterick TE. Medical informed consent: General considerations for physicians. Mayo Clin Proc. 2008;83(3):313-319. 2. Murphy JB. Benefits and challenges of informed consent. Mayo Clin Proc. 2008;83(3):272-273.